If you want to experience “ real traditional Japanese festival” , I would advise you to go Noto peninsula, Ishikawa prefecture in Japan. There are one of the most exciting and magnificent festival in Japan called 『KIRIKO-MATSURI (Kiriko-festival ) 』is held between the beginning of July and September. 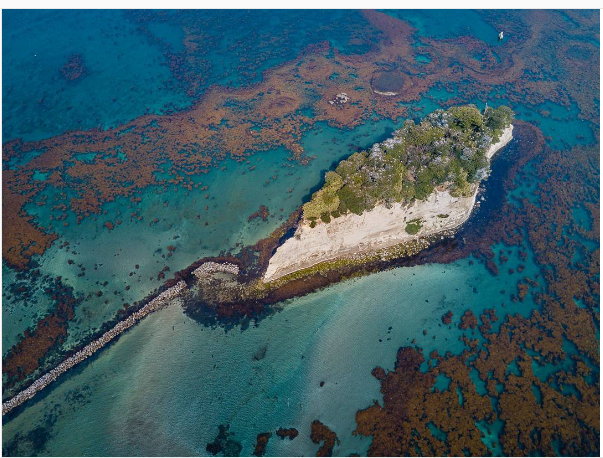 Here in this web site, I would like to share some very important tips about transport, hotel and schedule of the festival to enjoy it more as whole of Ishikawa prefecture is still not an “English-friendly” region yet. “KIRIKO（切籠）” is a cuboid shaped lantern made with Japanese paper and a kind of cypress trees. It has a wide variety of sizes and patterns and especially when it is glowing in the eneving to create a magical atomosphere. “MATSURI ” means festival. The purpose of festivals depending on the region and date. The most festivals in Japan for worship of a good harvest or ritual of memorial service for spirits of nature or ancestors. For instance, the first festival “Abare- Matsuri “（hold on the 1st and 2nd of July, 2016 ) in Noto peninsula is very unique as it is for getting rid of a plague which spread over the region about 350 years ago. People welcomed a God ” Gozu-tennou （牛頭天王）” from Yasaka shurine in Kyoto then the plague had been gone after that so the festival beggins by showing appreciation for the God..but it is very agressive and thrilling festival as a lot of people are fisherman and also they believe the God likes harsh service like throw God in fire or water.. Anyway, Kiriko is a sub tool for the main tool, ” Mikoshi ( 神輿、御輿 )” which is a kind of vehicle for Shintoistic (Japanese traditional religion =神道) God. People welcome the God from shrine or nature and celebrate them with doing a parade and performances as a part of the Shinto religious services. Generally, Kiriko and Mikoshi are carried by lots of men who are called ”Ujiko (氏子) who believe in the God but there is a unique festival holding in Noto as they carried by brave and young ladies ! ★marks are the three biggest festivals in Kiriko festivals in Noto. 【FEATURE】It is designated an intangible cultural asset ishikawa. 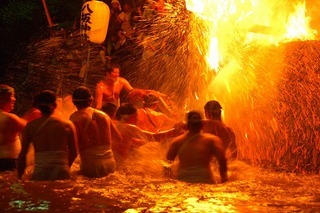 The unique points are letting Mikoshi covering sparks of fire or fling it into river and sea. 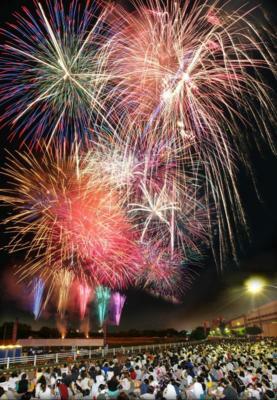 On the first night, they have fire -works and about 40 numbers of Kiriko are making parade in Ushitsu town. 【 DATE 】Fri & Sat. The 1st and 2nd. July. 2016 Start From about 7am until 2 am. 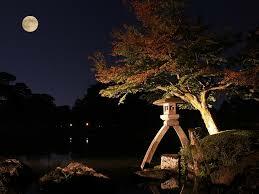 The main service starts about 5:30 pm at Sakataru-shrine on the 2nd night. 【FEATURE】6 of giants Kiriko are here. Over 10 meters hight and carried by hundreds of men moving and dancing around Issaki town, Nanao city. The highlight- giant Kiriko parade starts at 3 pm until midnight. 【FEATURE】The biggest festival in Suzu city (珠洲市). Normally we celebrate Tanabata -Matsuri (七夕祭り) on 7th July every year for making a wish though this Kiriko is a month late celebration. The decoration of the Kiriko is very colourful and beautiful also the highest one is 14m. 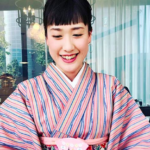 【FEATURE】Traditionally, females are carrying Mikoshi / Kiriko with traditional uniform like red apron and special thong called ”waraji” That looks pretty but also brave too ! 【FEATURE】This festival for praying for safety of fishing. It is brave and rare to see 5 Kirikos goes into the sea and do the service. It is perfect for tourists who especially one day trip or not enough schedule for Hokuriku region. 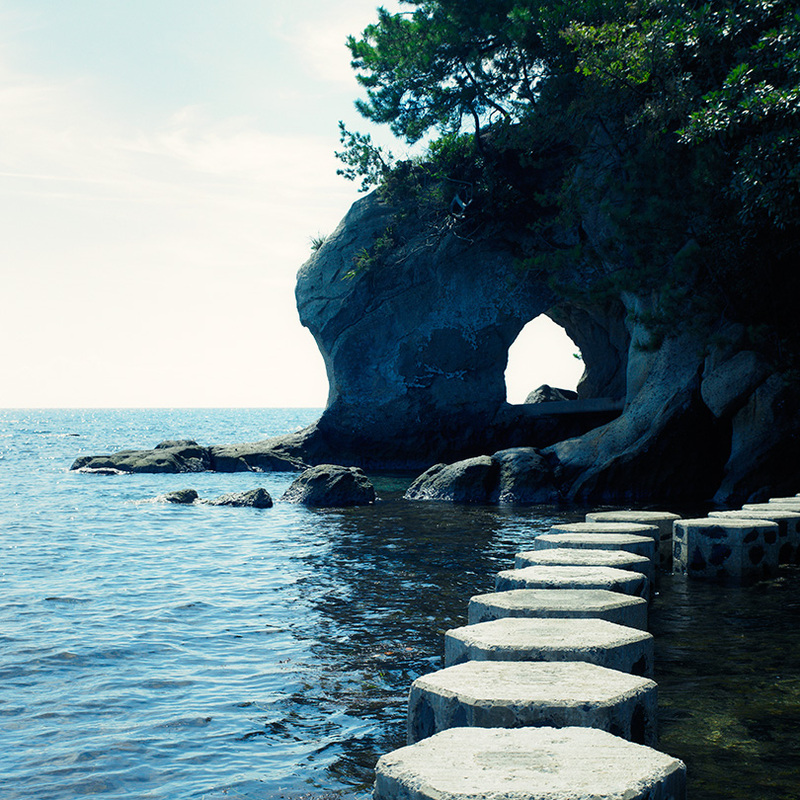 Only the 2nd day, 15th, you can see the Kiriko goes into the sea. It Starts 9 am until about 11 am. Especially at ” The Jyu zou shrine” (重蔵神社) You can see ” Sasa Kiriko (笹キリコ) ” it’s the original style of Noto Kiriko.You should check this festival if you want see very cultural and traditional “only Ishikwa‘s Matsuri ” . 【FEATURE】It is originated in the time of welcoming the imperial will, so this Kiriko is not very tall but it is considered to be the most gorgeous one in Japan as the Kiriko gorgeously painted by gold-leaf and full of lacquered.. Also beares of Mikoshi wear unique make-up and uniform called ” Dotera ”. You won‘t miss “ The Hayafune Noh farce（早船狂言）」on the 2nd night isdesignated an intangible cultural asset ishikawa. 【FEATURE】 It weights 4t, 14 〜16m height, Kiriko are really overwhelming to look but they are not only huge it is painted very gorgeous too… they are owned by a great family called Jike （寺家）who flourished during Ero-period as the enormous cargo ships “Kitamae bune （北前船）” sailed all over the Japan Sea.. It is totally depends on the place and date though for example, if you go to Noto-cho （能登町）area, the cheapest and fastest option is bus. It costs 2,480 yen /one way for adult and takes about 2.5 hours. Going by train such an rural area will be way slower and expensive. 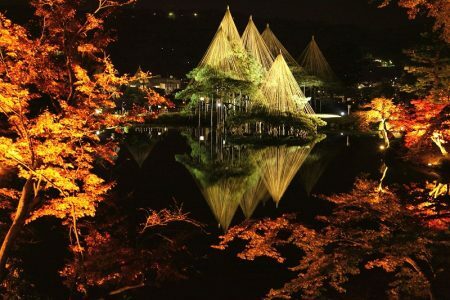 Make sure you’ve booked accommodation and carrying some foods as the most highlights of Kiriko festival start in the evening and finish at the midnight also only 2 express buses a day from Kanazawa to Noto-cho area/ the other Northern Noto-peninsula. 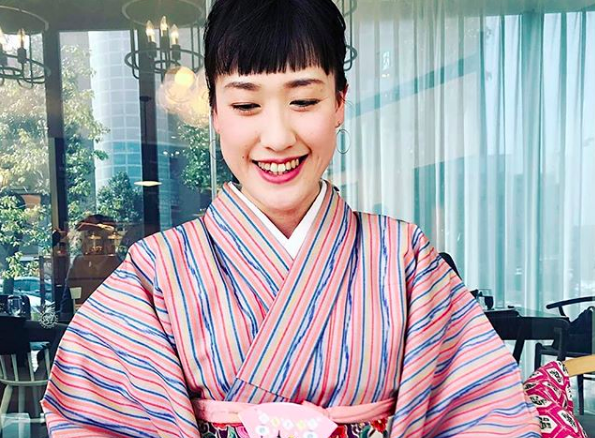 Especially in the festival season, lots of local people are very busy to join the festival so some restaurants and ryokan/ hotels might be closing. It should be fine to do camping somewhere in Noto-peninsula but it might be cold/chilly or rainy in the evening however Kanazawa is pretty humid and hot even in the midnight in summer. If you going by car, there are few free public parking spaces so you can sleep in a car is pretty safe and budget. Bike/Bicycle would be nice too if you are well- equipped. I would like to update more about details of the transport/ access informations later on. 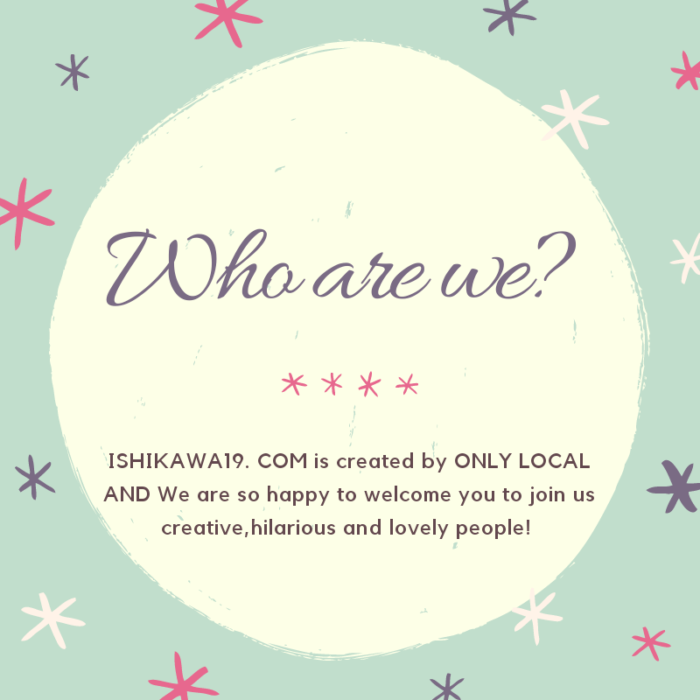 So please wait for a moment or feel free to contact me if you have any questions/ requests to know all about Ishikawa. Hope this site helps you to get to know about Kiriko matsuri in Noto.